The following five artists all have at least one thing in common: without the everyday dirt that most others work hard to collect and discard, they would be unable to produce the impressive pieces seen below. For those who obsess about cleaning, the pictures you’re about to see may cause a twitch or two. Dust-sculptor Paul Hazelton is 44 years of age, and cites his being “brought up in an immaculate environment that was really clean” as the catalyst for his obsession with all things dirty. 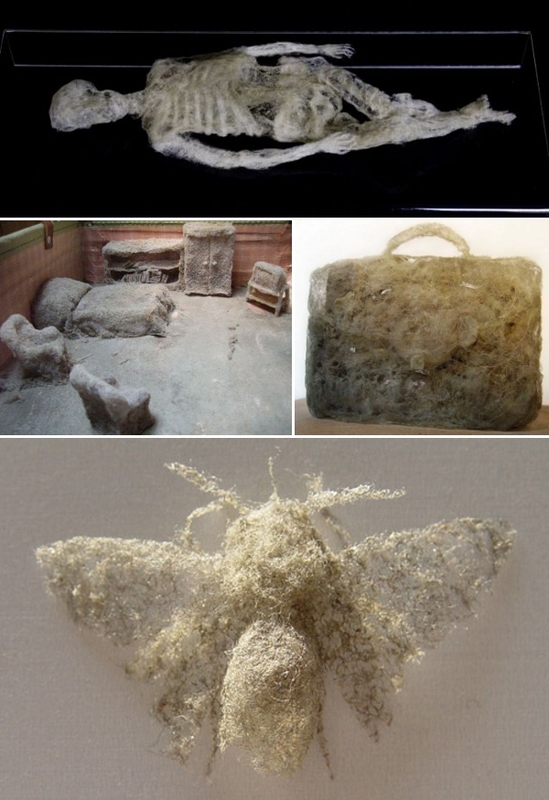 Whatever the reason, others are certainly impressed, as his various delicate sculptures—formed by Hazelton patiently moulding moistened dust particles—have been exhibited all over the world. Subjects range from briefcases through to entire rooms, each as impressive as the next. Scott Wade became something of an Internet sensation a few years back when photos of his unique artwork surfaced online, and it’s still easy to see why. Scott’s canvas of choice is the windscreens of cars; his medium, dirt. Just as countless kids mischievously write their names into the filthy windows of vehicles the world over, Wade takes it a few steps further and uses the grubby glass to recreate scenes of astounding detail. 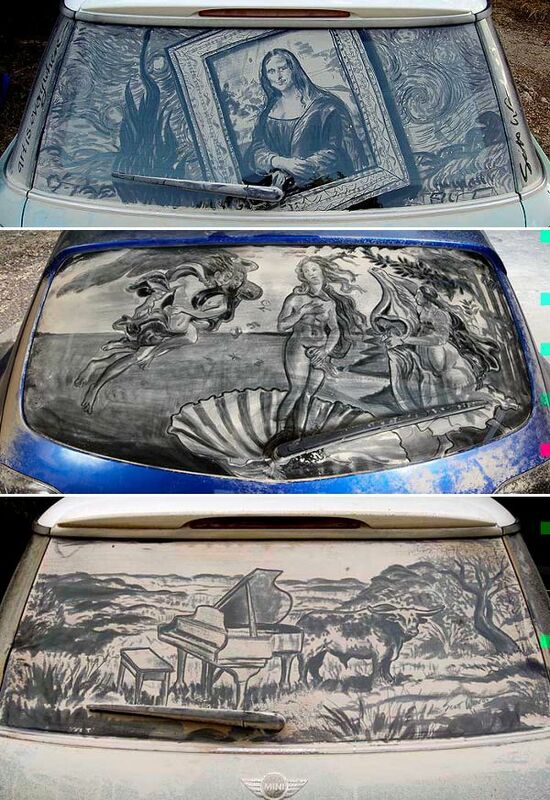 Since the exposure, Scott has even used his talents to craft adverts onto dirt-covered cars. To support herself whilst at college in Philadelphia a few years ago, Columbian art student Maria Lopez took on a cleaning job. It was then that she realised she had access to endless supplies of art materials, in the form of dirt; specifically the household dirt that was conveniently being gathered in the bag of her trusty vacuum cleaner. 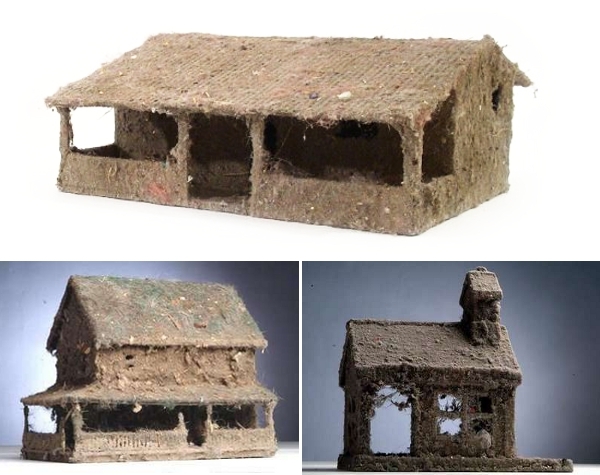 The amazing dust-houses pictured above are the result of her project. 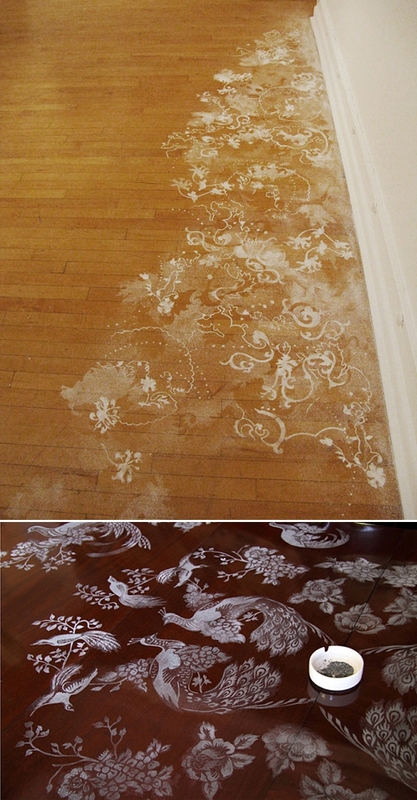 The beautiful, intricate artwork seen above was crafted by Australian artist Hannah Bertram and housed in a number of peoples’ homes during 2010 — on floors, tables and walls. The materials used were determined by the setting, and included marble dust; ash from bushfires; and dust from sheds, artists studios and behind couches. Regardless of the dust’s source, the resulting scene was, without fail, spellbinding. James Croak is a New York-based artist with a difference: he builds sculptures using the dirt beneath our feet. His work has been shown in various galleries and is incredibly realistic despite the medium used. 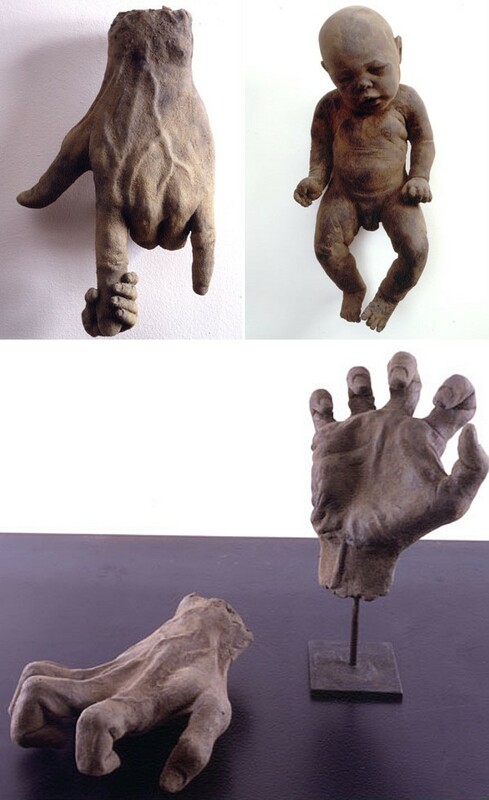 The most striking of his pieces, as seen above, depict humans in various stages of growth, from newborn through to fully grown adult. Each and every piece seems to haunt the viewer.